Industrial Supply Website Template is a bootstrap-based solution for those who need to create an all-winning website for their company. This fully editable development was pre-loaded with a pack of customizing options so you will be able to tweak it in line with your personal preferences, requirements of your business and corporate identity. Play around with multiple header and footer layouts to give your site a unique look and user-friendly feel. Blog and its various layouts can be filled up with multiple types of content, take advantage of this functionality to make your site more engaging and SEO-friendly. The main advantage of this theme is an array of ready-made HTML pages, which can save you a great chunk of a budget on coding and design. Take a close look at Industrial Supply Website Template with W3C valid, well-commented code, by means of live demo preview. 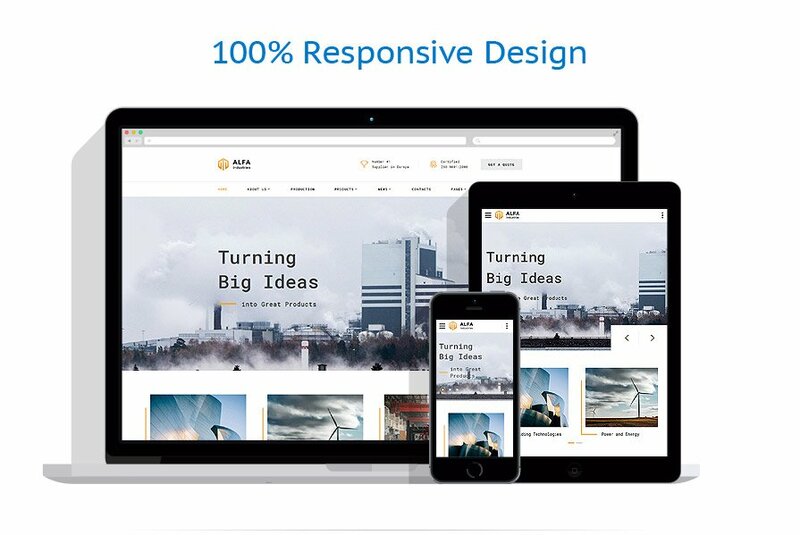 The theme was custom-made for industrial, business and services, design and photography, medical, real estate, computers and internet sites.